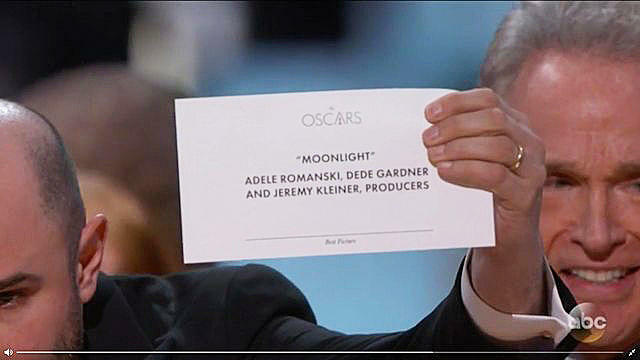 The winner was actually Moonlight—printed on a card hiding somewhere backstage. 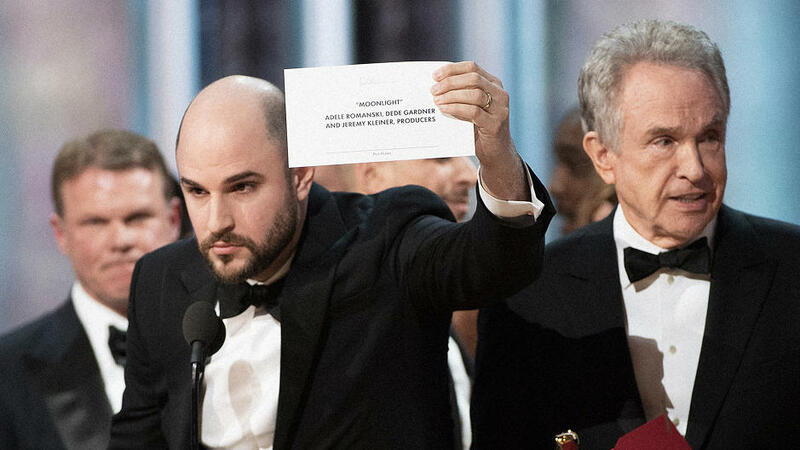 Right below “The Oscars,” the winner is listed centered and in quotes. This decision makes some sense. Positionally, to make a word center-aligned makes it obvious and important—like the title of a book. But why isn’t this winner big or in any way bolded? Why isn’t the type presented to be more important through its weight or size than all the names listed below it—even just for pure legibility under the stage lights? Finally, the card’s category label is in fine print. Best Picture or Best Actress is barely visible—tiny, italicized, and of a finer weight. Of course, that doesn’t matter when everything goes right. But the role of design isn’t to be a solution for when things so often go right, but for when things so often go wrong—which is, as it happens, exactly what happened last night. NOTA AICEX: Cliccando QUI vedete come potrebbero modificarsi i cartoncini, evitando l’invisibile titolo in basso “Best Picture” e mettendolo bello grande in alto.